Tonight, November 6, 2014, is the opening of the 5th Annual Driftless Film Festival. 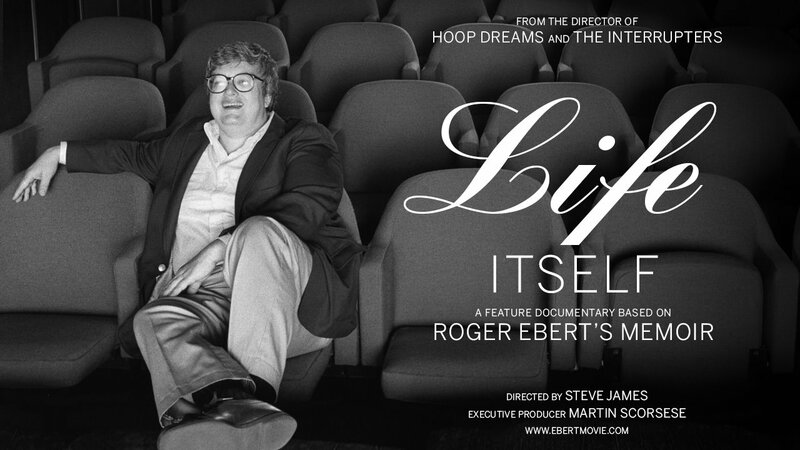 “Life Itself,” a documentary about renowned film critic Roger Ebert who died in 2013, kicks off the fest. Here’s a link to the trailer. “Life Itself” will be preceded by “At Home In The Shop,” an 11-minute short about Wisconsin woodworker Edward Wohl. There will be an after-party at the Gray Dog Deli. Shannon Williams and Rubilly Wilson will be playing a low-key set from 9-11 p.m. allowing everyone to chat about this exciting film-packed weekend. If you plan to attend any part of the Driftless Film Fest, be sure to pick up a brochure, designed by Webbs at Work. 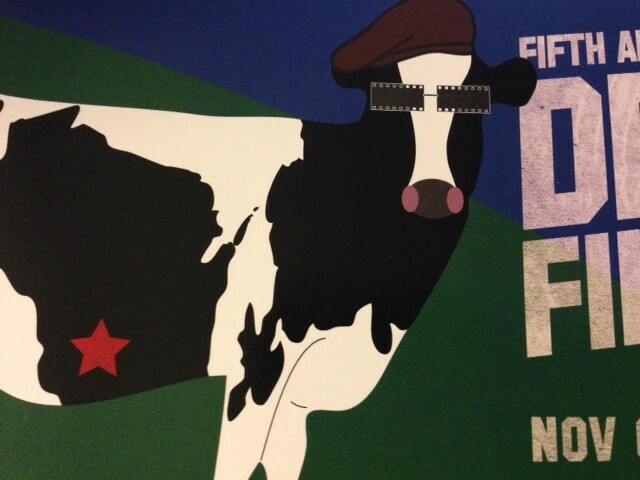 Just look for the cool movie-cow with a star on the Driftless-area of his WI shaped spot. Inside you’ll find a schedule and a concise description for each film. Bill Webb is also the guy behind the DFF website. Check it out, here. This entry was posted in Entertainment and tagged Driftless Fim Festival, Gray Dog Deli, Life Itself, Roger Ebert. Bookmark the permalink. Thanks. Hope to see a lot of people at the films all weekend and at Gray Dog Deli afterwards. We are so fortunate to have this Film Festival in town & thanks to Phil Mrozinski for hleping make it happen from the start. An aside – how do you make the names of places turn blue so people can click on them, and you don’t have to show the website?? Thanks.